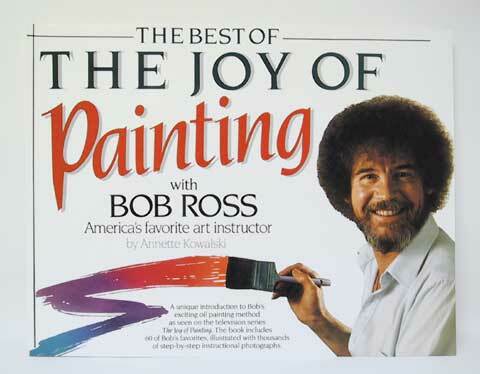 Based upon the PBS “ Joy of Painting” series with Bob Ross, these books teach the beginning painter new approaches to oil painting, as well as help the experienced artist who wishes to brush up on familiar techniques. They teach the complete process, from canvas preparation to a finished painting. Each book contains written step-by-step instructions, black and white how-to photos and full color pictures showing completed paintings.